Lauretta said: “I wanted to create a very earthy rustic feel of a woodland setting. 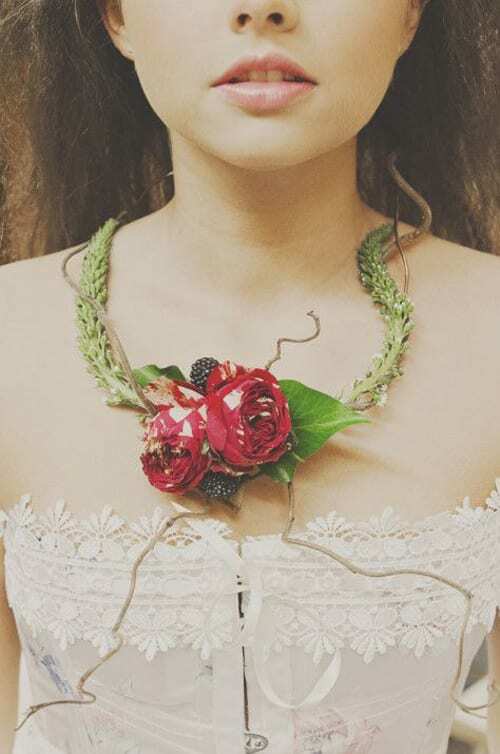 The flower necklace was made using roses, kangaroo paw and lysimachia, finished with blackberries and ivy foliage on a contorted willow frame. 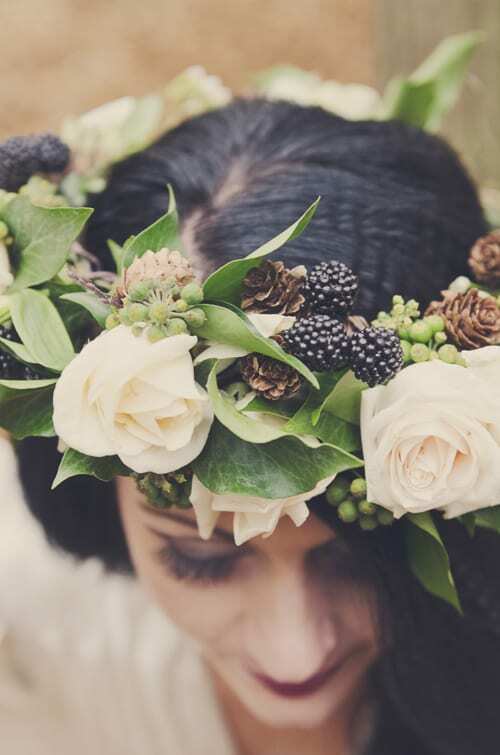 The matching flower crown was made with a real feel of a woodland crown with contorted willow. 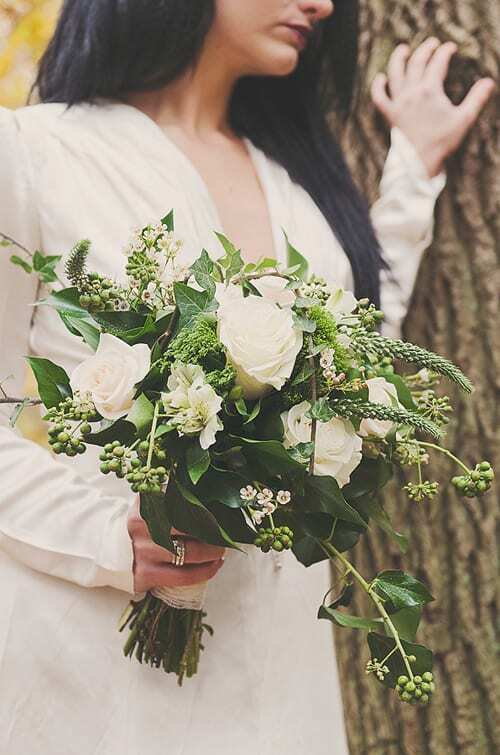 The other theme was a more subtle colour palette and I used Vendella roses, alstroemeria, ivy and blackberries, also with a matching bouquet for a wild and natural style”. Many thanks to Lauretta for getting in contact. 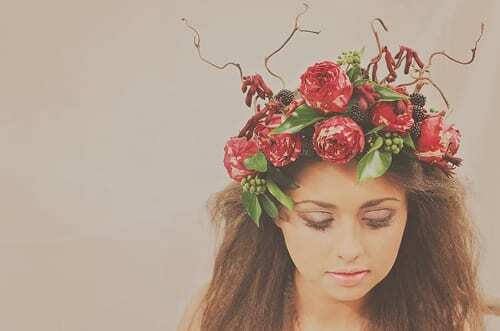 If you’d like to see more of her work, simply visit the Paeony Floral Design website.